Congratulations to Joe Lipski, winner of the Kraus-Anderson Core Value Award for June 2018. He is a project superintendent in our Twin Cities office. 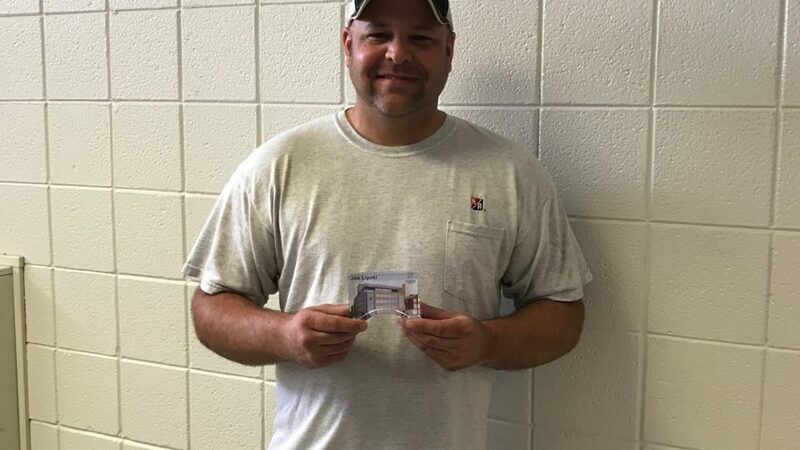 “Joe recently reached out to the Woodbury Middle School special education department, when he saw how the students were enamored with our work at Woodbury. 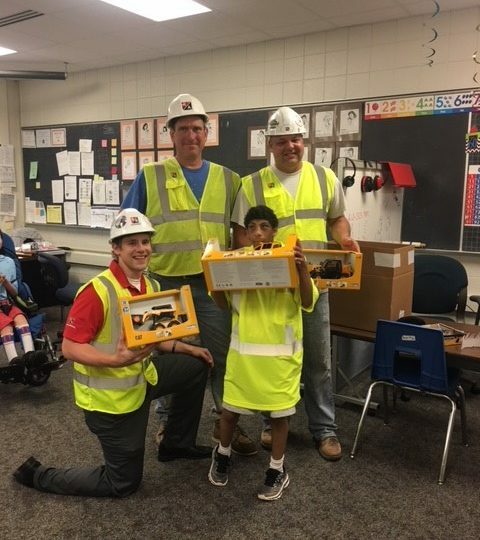 One student in particular was ‘Dee.’ Ever since we started construction, Dee would take daily walks outside the fence to see the machines, our progress, and of course his buddy Joe and our laborer Todd. Joe approached me and asked if we could do something special for the kids last day of school. We had heard through another conversation with the principal that ever since we started construction Dee has been doing better in school, and especially looks forward to his walks every day. Joe and I set up a time and date to go into the school and meet with the kids. “Beforehand, Joe went to a CAT dealer and bought some toy tractors, backhoes, bobcats etc. and the CAT dealer heard what we were doing and threw them to us for a discount and threw in the hat for Dee. We also grabbed a vest and hardhat so Dee would look just like Joe!